Exactly what is Home Automation? Imagine a life where your house uses information from 100’s of sensors to make you perfectly comfortable all the time. Imagine never touching a light switch or changing a thermostat; those things just turn on and off automatically. Think of being able to play music in every corner of your house without any visible speakers or confusing controls. Imagine throwing out every TELEVISION, Blu-Ray, and Cable Box remote for something simple, easy to use, and reputable. No more selecting inputs, no more unsightly entertainment centers and rats nests of wires. Think of sleeping comfortably understanding you’ve got a Fort Knox-grade security system in between you and any would-be trespassers. These luxury home features once reserved for only the wealthy IT obsessed has passed. Home Automation has come a long way, and finally reached a point where practically anybody can gain from some level of home automation. Home Automation has been capable of doing all the above for a very long time, but to be utilized to require high prices and hours of navigating clunky controls. The iPhone has reinvented our industry, it set a brand-new standard for user-friendly and taught everybody and their mom how to operate a touchscreen. Home automation is finally attainable and beneficial for most middle-class families. What has the most value now? If you are brand-new to home automation, it’s challenging to know where even to begin. Today’s technologies are confusing, and the marketing techniques of some firms only lead to further confusion. This guide is intended to clarify home automation for the layman and help you choose whether a smart home is right for you. What the heck is home automation? At its basic level, home automation provides you remote access to a few gadgets you can control with your hands. In contrast with these devices, professional-grade home automation systems like Nimbus and Crestron will manage a whole suite of electronics in your house and tie them entirely. We’ll delve into this in more detail below, but the major benefit of expert automation is that instead of you remotely communicating with your devices, your gadgets will talk to each other and automatically change themselves accordingly. What will home automation do for you? Individuals come to our website so thrilled about the concept of a smart home, but they have no idea what automation systems can even do. If you’re attempting to picture the benefits of having an automated house, think about the difference it made updating from a Nokia brick phone to an iPhone or setting up a central air system, or for you folks old enough to remember it, getting your first TELEVISION remote! More fun inside your house (think toys for adults). Don’t worry; this isn’t a post filled with fluff. I validate all those advantages listed below. Customer automation vs Professional automation. The very first difference you will notice is the rate. Consumer-grade automation equipment bought from locations like Home Depot and Amazon for next to nothing. Professional automation systems purchased from the manufacturer or a qualified dealer, and typically cost $5,000-100,000 (although systems can easily get into the seven-figure range). Consumer automation systems are extremely limited in both scope and scale. They control just a few kinds of gadgets (light switches, thermostats, door locks, and some security if you’re lucky), and the overall variety of devices they can manage is somewhat restricted. Expert automation systems tie every device in your house together. From one user interface, you have complete control over your speakers, TV’s, lights, COOLING AND HEATING, shades, security, watering, and more. With high-end systems there is no limitation to the gadgets you can add, so you can start small and continue to add to the system as you grow more comfortable in your house. Without programming, home automation is just moving a light switch from the wall to your iPhone. The ability to program and ‘automate’ the system is exactly what makes it a SMART home. Let’s claim you have a mid to luxury customer automation system. You’ve got your front door lock, a lamp dimmer by your bed, a couple of light switches downstairs, a nest thermostat, and a little security system. Envision that 15 minutes before your alarm goes off, your home begins heating up. As your alarm goes off, the light next to your bed turns on to 40%. You roll out of bed, take your shower, and head downstairs. The family room and kitchen lights switch on before you get there. As you take out of the garage, you open your iPhone and shut off the kitchen and bedroom lamps. Then you arm the security and verify that the front door is locked. Now you’re residing in a house with a professional automation system set up. The bedroom starts warming up, and the coffee device turns on 15 minutes before your alarm goes off. Instead of your phone roaring at you to awaken, your favorite Pandora stream slowly ramps up from the ceiling speakers in your bedroom. The lights in the hall, bedroom, bath, and wardrobe, turn on to 40% brightness. The shades open midway, letting some light in but not blinding you. The humidity sensing unit in your restroom journeys when the shower switches on, and the exhaust fan, towel warmers, and heated mirrors immediately kick on. As you leave the bedroom, you set off a motion detector or strike the “breakfast” button that turns off the master suite lights and music behind you and turns on the corridor, stair, and kitchen lights. You drink your hot coffee and eat your cereal listening to NPR or seeing the news in the kitchen, then press the “away” button as you stroll into your garage. Now your garage door opens for 3 minutes before instantly closing, all the lights in the house shut down, the tones close, music and tv’s shut off, the doors lock themselves, and the security system offers you One Minute to obtain into the garage before equipping all of the interior sensors. Anyone can set up wireless automation, which is a significant advantage. Wired automation requires a trained installer or committed do-it-yourselfer. Needs professional installation when the home is in the construction phase. If done well, it’s almost undetectable. Adds value to the house. As the lead professional on a home automation tech support. I cannot stress enough how much extra troubleshooting and upkeep wireless systems require. Whenever possible, wired is better. The benefits of home automation. So, now you have an inkling of idea amazing things fantastic can do with home automation house but you want MORE. Understand I listed a couple of advantages below. Not all these will use in all circumstances, but you can decide what is necessary for your family and make sure your automation system is tailored appropriately. More free time is a piece of cake and a big advantage for many people. A robust automation system will immediately complete routine jobs like adjusting sprinkler schedules based upon weather condition or climates, watering the garden, locking/unlocking doors, turning on/off lights, opening/closing swimming pool covers, beginning coffee or laundry, and picking video sources. Automation gives you with more spare time to spend with the family (or at work, whatever suits you best). Automation can decrease clutter and permit some very creative in-home design options. Hide it behind a motorized photo frame or pop it out from under a counter if you do not like gazing at a TV when it’s not on. Change massive banks of light switches and awful thermostats with custom-made etched keypads or touchscreens. Get invisible speakers in your living room for surround sound that appears to come from the wall itself. Conceal cable boxes, Blu-Ray games, remotes and more. An excellent interior decorator can have a field day with the design possibilities that automation brings to the table; if you’re a nerd like me, you’ll enjoy the pure bliss of staring at a full rack of nicely set up electronic devices and blinking LEDs. Automation makes enjoying your preferred programs anywhere in your home a breeze. House theaters are a blast and can be a fantastic way to get everyone together. Music around your house is a life-changer, you’ll never do mundane chores without music again. Your home will end up being the location for super bowl parties, with the touch of a button you can have the whole-house speakers playing the game, so you never miss out on a moment while walking around the house. Automatic lighting in restrooms, utility room, and cabinets becomes difficult to live without once you get used to it. Security is reliant on exactly what system you go with, but most good automation systems come with state-of-the-art security. 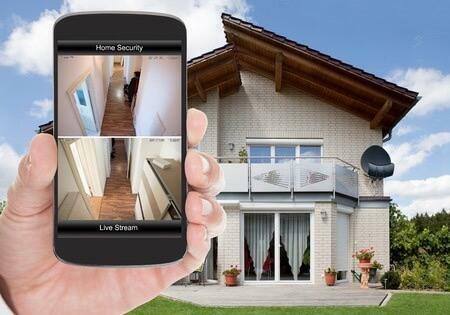 Enhance your peace of mind by checking in on the house from anywhere. Automation CAN be extremely useful, but it can also be incredibly enjoyable, and those two do not tend to blend. On one hand, you have got programmable thermostats that speak with your security system to know when your home and save on your HEATING AND COOLING expense. Like anything in life, there are tradeoffs to consider. The most significant disadvantage of automating your home is, of course, the expense. Professional automation systems often cost as much as 10% of the overall home value throughout construction. Customer automation systems are cost effective, but likewise very minimal. Automation has gotten far more trustworthy however all electronics are liable to fail. When one fails, you might have to periodically power cycle devices or get a new amplifier. Another case where it is crucial to vet your dealership before committing to a project. 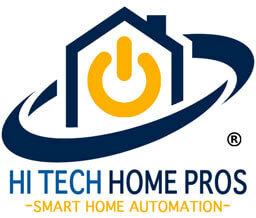 Good home automation dealers will install the hardware nicely with clear labels. Everything should be powered by an inline power conditioner to ensure maximum reliability, and each rack should have a dedicated 15A breaker. If your home automation is not well installed, you might be out of luck when something stops working. 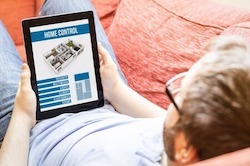 What home automation system should I select? For consumer-grade automation, do your research before purchasing a system. Come up with 3-5 objectives for your automation system. I desire my automation system to consist of security for my home. I desire my automation system is making the heating/AC more efficient. I wish to have the ability to shut off your home lights from my bed. I want to have music in the Cooking area, Living Space, and Master Suite. SmartThings will achieve objectives 1-3, but can’t do much for multi-room music. 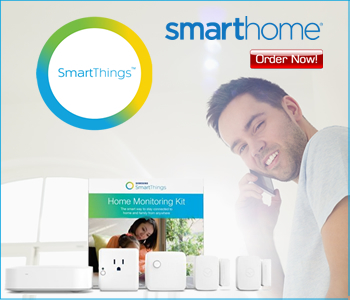 Now you know SmartThings won’t work for your house. Check whether the automation system can handle the variety of gadgets you want or the size of your room. Wireless systems have an explicitly mentioned excellent range, and you need not aim to surpass that. You most likely need to step up into the expert automation area if you desire to automate every light in your house. Many inexpensive home automation centers have committed forums where house owners publish their experiences. If most of the posts on the forum are “HELP THIS DOES N’T WORK”, then keep away from that system. If the posts on the online forum are primarily active, and the item has high evaluations, then you ought to be ok.
For expert automation, restrictions of the systems play a much smaller sized function. : Control4, Nimbus, and Crestron automation systems can all control:. There’s tiny variation in systems to pick from and exactly what systems can/can’ t control. The most significant difference with expert automation systems is the configuration and how the homeowner interacts with the system. Crestron is extremely tough to program and totally personalized to the user. It makes for an incredibly efficient system when done right, however, can quickly become a disaster. Control4 is simpler to program than Crestron, but it’s still primarily reliant on a central controller and your dealership. Once again, if you get a bad dealership, you will have a terrible experience. Ensure the system you are taking a look at can manage the size of your house. Some systems are limited to 100 smart gadgets (light switches, video cameras, TV’s, and so on). You likewise want to keep an eye on the system interface. Demo each system you’re considering; to make sure that it’s intuitive for everybody in the family who will be using it daily. The last thing you want to do is set up of countless dollars of “life improving” devices only to discover your family cannot use it! Inspect if the system user interface includes updates over its lifetime. Some automation systems stick you with the firmware version you had on preliminary install, and the only method to update includes expensive hardware or programming. Assess your dealership closely. These are the people you will be relying on to make truthful suggestions on your system and preserve it for the lifetime of your home. If they do not treat you well while they are trying to do your business, picture the treatment, you’ll get when they have already gathered your payment.